Heavy bodied, stout billed bunting without white in tail. Male diagnostic with black head, yellow underparts and unstreaked chestnut upperparts. Black of head subdued by pale fringes in Autumn. 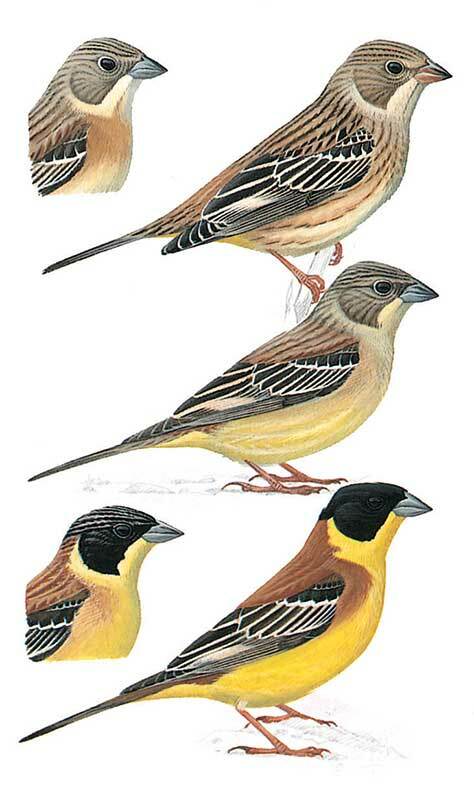 Females and 1st year birds lack black, bright yellow and chestnut colouring.